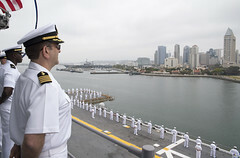 The guided-missile cruiser returned home to Naval Base San Diego, May 9, after completing a four-month deployment. 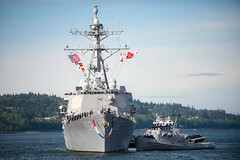 The guided-missile destroyer returned to its Naval Station Everett homeport, May 9, completing a seven-month deployment. 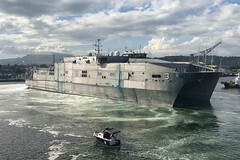 The amphibious assault ship returned to San Diego, May 8, after six years forward deployed to Sasebo, Japan. 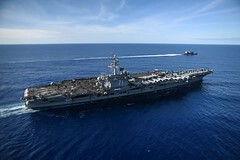 USS Theodore Roosevelt (CVN 71) and USS Bunker Hill (CG 52) are scheduled to return home to San Diego, May 7, after a successful seven-month deployment. 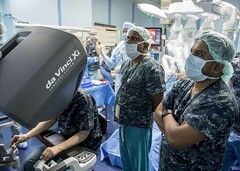 Pacific Partnership mission medical professionals and Sri Lankan surgeons teamed up for the procedure aboard the hospital ship, May 4. The Malaysia phase of the annual multilateral humanitarian assistance and disaster relief preparedness mission wrapped up, May 3. 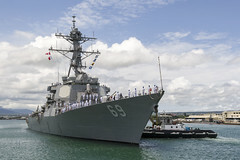 The guided-missile destroyer arrived at Joint Base Pearl Harbor-Hickam, May 4, for a port visit on the way to join the Forward Deployed Naval Forces in Japan. 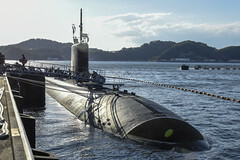 The Los Angeles-class attack submarine USS Columbia (SSN 771) arrived at Fleet Activities Yokosuka, Japan, May 4, for a routine port visit. The exercise on and near Lombok Island, Indonesia, May 4-9, brings navies together to focus on disaster response and maritime domain awareness. 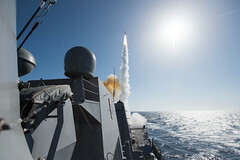 The SWATT exercise, which wrapped up May 1, focused on improving warfighting proficiency.